Extra large 400 Watts capacity. Makes your bulbs last longer. 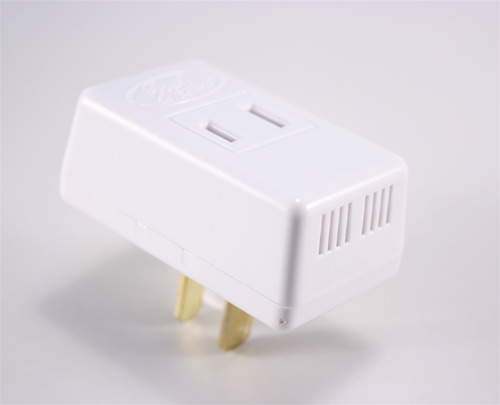 Simply plug your lamp into our plug-in module. No need to change bulbs so often. Single unit works with multiple bulb lamps. Use with incandescent and halogen 120VAC bulbs. Ultra compact size unit does not block second outlet of duplex wall plate. Extra large 400 Watts capacity.